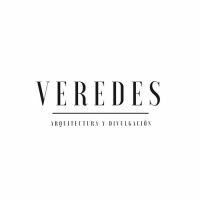 The role of design in spaces for culture is that of a mediator between people and architecture, it is the tool which converts a container into a common place, in which participation, learning, disclosure, investigation, recreation and inspiration must be given space. 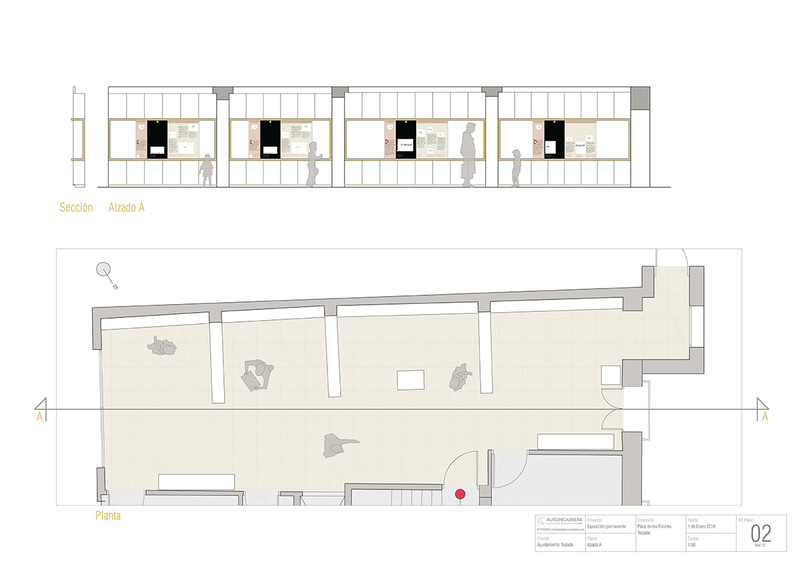 It is through design that a space becomes experiential by employing the necessary mechanisms for the interaction of its users, and both shows and demonstrates the role that architecture has in generating encounters surrounding culture. 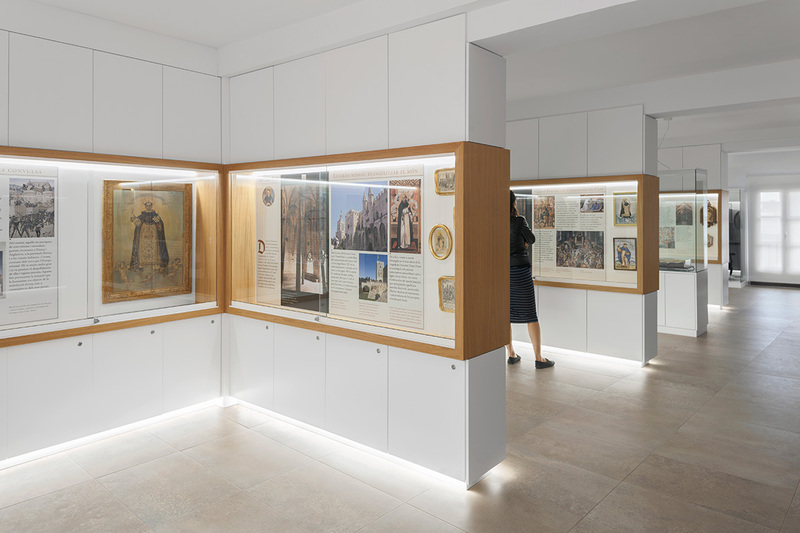 One reads about these premises in the ‘musealisation’ (museum) project for the Centre of Vincentian Studies (Teulada, Alicante), developed by the technical and interior architect, María José Auñón Cabrera. 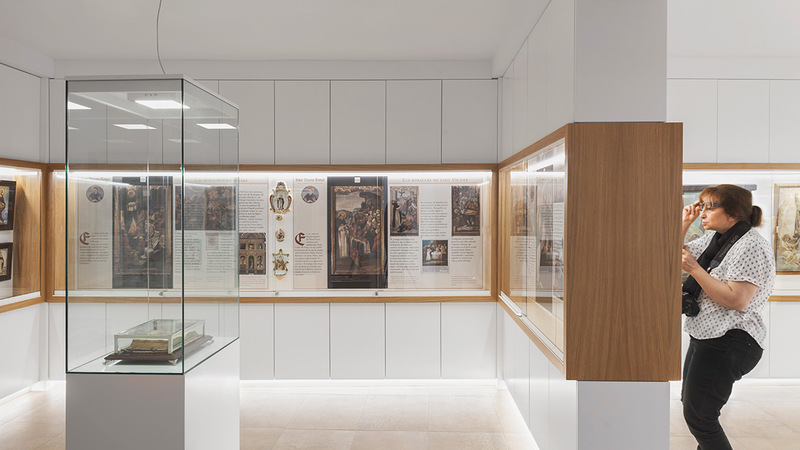 The Centre of Vincentian Studies, an initiative of the Council of Teulada, is a space dedicated to the figure of Saint Vicent Ferrer, situated in the house in which the friar visited his sister Constança in 1410, and which today is civic property. 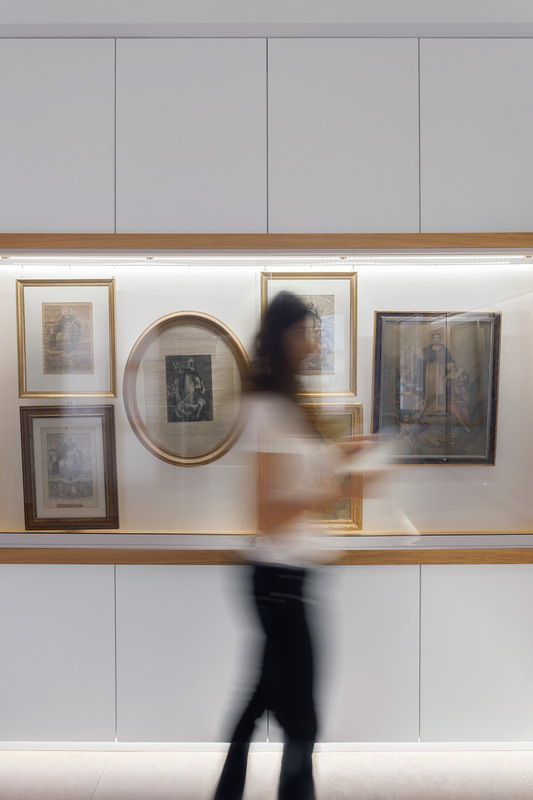 The objective of this new space is to provide a place for researchers where they can find all of the collated documentation, whilst at the same time creating a space of public affluence, offering a permanent exhibition and showing of iconographic pieces by Saint Vicent Ferrer. 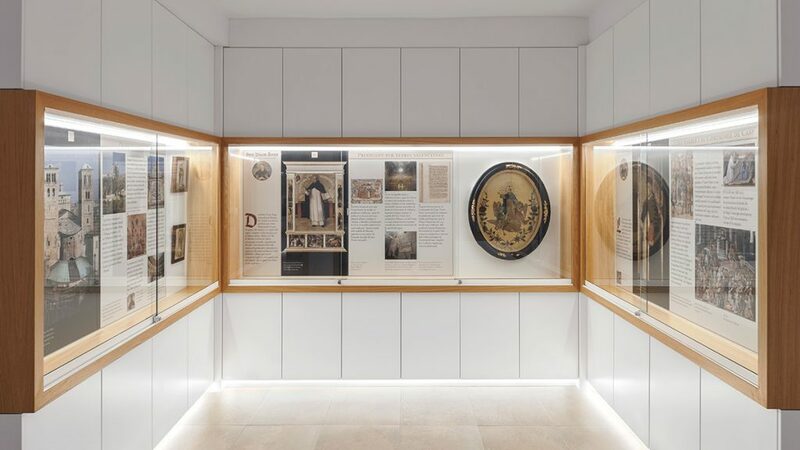 In this way, this new venture begins with the public presentation of the museum exhibition “Sant Vicent Ferrer. Vida i llegenta d’un predicador” (“Saint Vicent Ferrer. 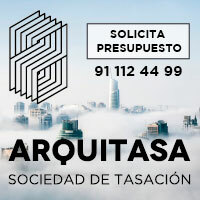 Life and legend of a preacher”), associated with the interior design project of Auñón Cabrera. 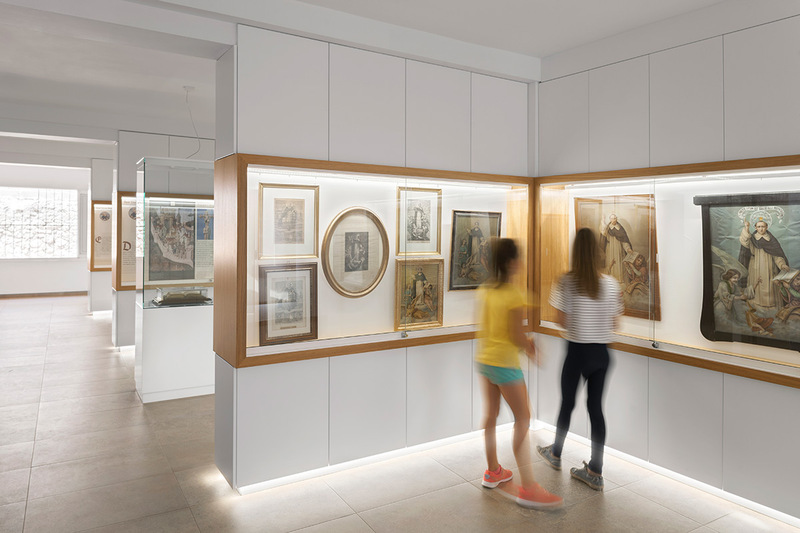 The exhibition room is situated on the first floor of the Constança Ferrer House, in the historic quarter of the settlement, (a place of cultural interest); which upon incorporating itself into an already established and historic building, had to adapt to its structural circumstances and find, based upon this main condition, a way of creating an environment which could simultaneously provide a space for storing documents, studying and learning and a sharing and exhibition area. All of this in just about 60m2. It is here that the role of design comes to the fore, shaping with simple tools, where less is certainly more, using the possible folds of the space and the potential of the materials. 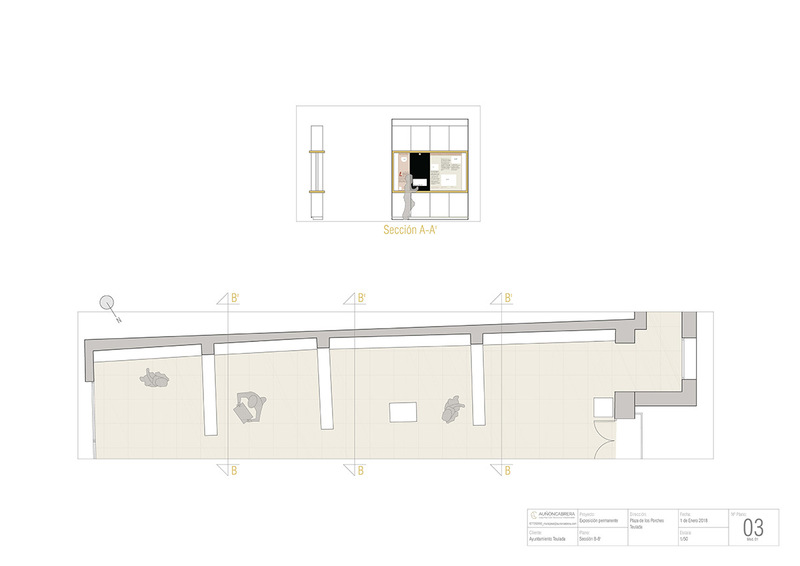 The intervention has consisted mainly in the design and arrangement of certain volumes which cut across the room along one of its sides, multiplying the surfaces by employing and generating routes and crucial spaces. The material continuity of these volumes is shown in the walls of the room themselves, and thus the intervention is understood as a whole, like a big piece of paper which folds and unfolds. 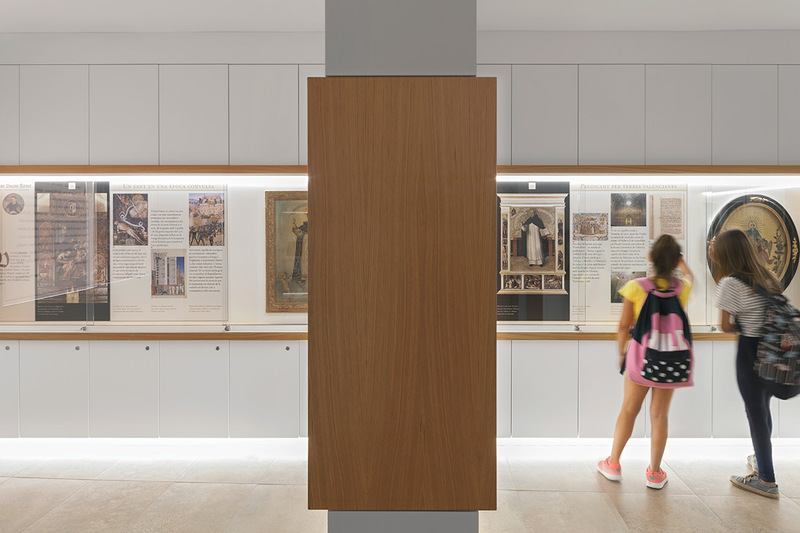 Each one of these bodies is divided in three horizontal strips: a superior and inferior in white lacquered wood and a central strip, outlined with oak, creating a void space. 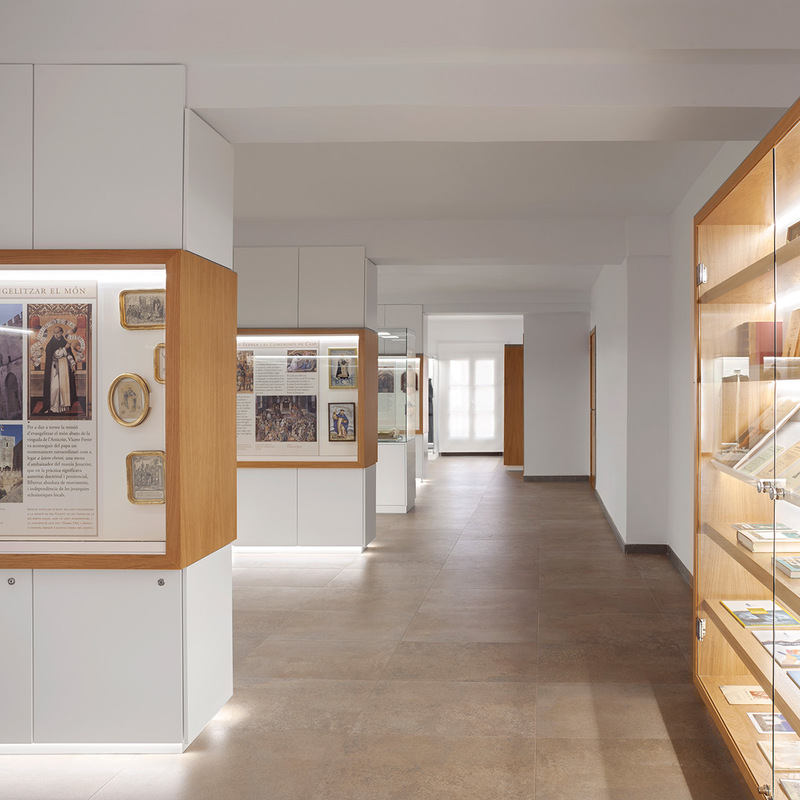 The former, closed and opaque provide a document and object storage space which make up the incorporated background of the The Centre of Vincentian Studies. The second and central area is the information display and container. 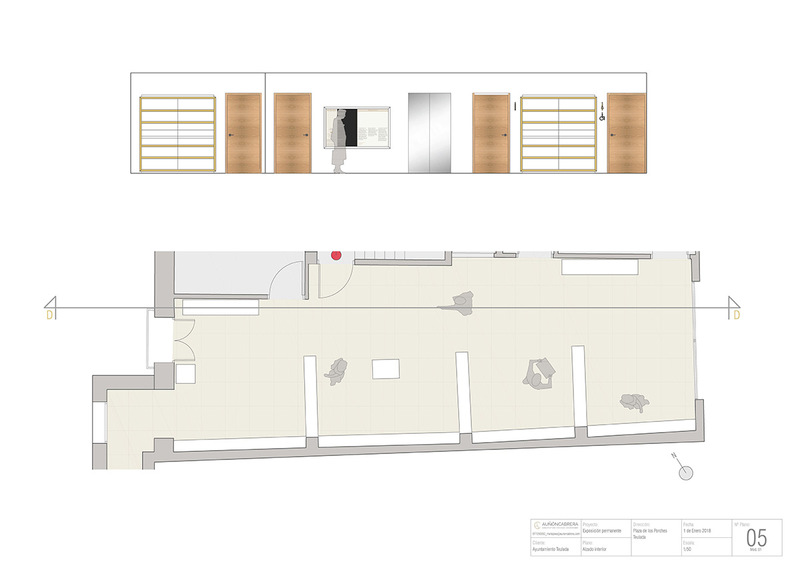 The connotations associated with the materials are obvious: the white, neutral and light, downplays its importance and means that the large space dedicated to storage goes unnoticed, whilst the central spaces, outlined with wood, (protuding slightly), draws attention to itself. The lighting also plays its part: the central areas are iluminated on a recessed base which emphasises their lightness and the empty spaces, resembling show windows, are lit up internally. 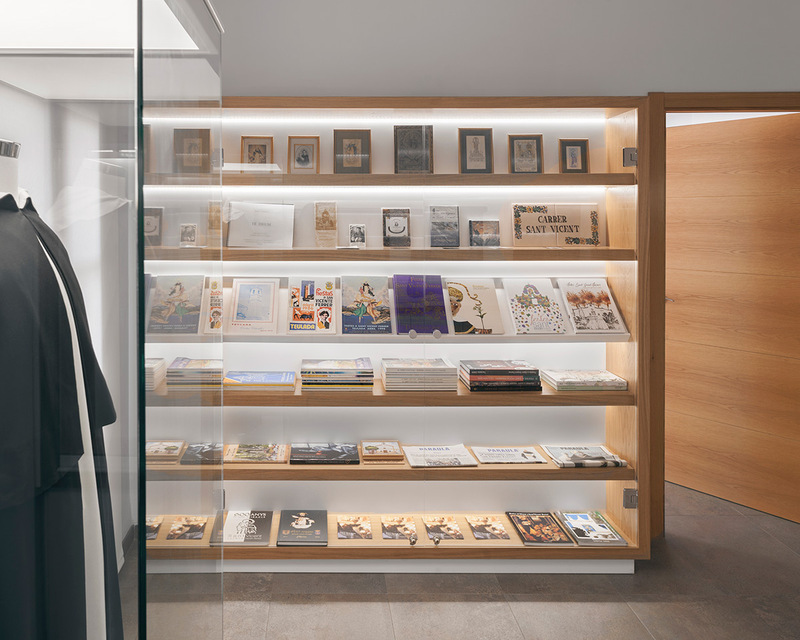 On the opposite side, which acts as a transit zone, the same idea of the intervention is employed: shelves and carpentery of oak create continuity with the preexisiting elements in the room, whilst the airy and indirect lighting creates an atmosphere of warmth within the space.